Enjoy the most fun things to do outdoors in Queens by exploring Fun New York's comprehensive guide. 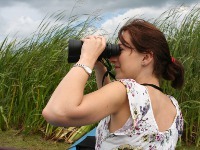 Find detailed information about all types of things to do outdoors in Queens, NY. From nature walks in local parks to outdoor sports, find Queens outdoor activities that will ensure your day in the borough is a total blast. Search Fun New York's comprehensive guide to biking in Queens and experience a fun-filled afternoon in the borough. Find all types of places to bike in queens. 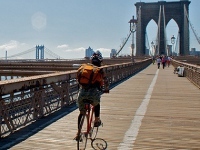 Experience queens biking at its best by seeing our complete list of bike paths in Queens and other great places in the borough that will make your cycling experience one to remember. 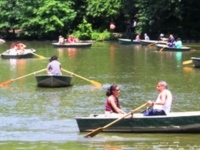 Find all types of rivers, canals, and other places that offer boating in Queens. Enjoy the coolest and most amazing boat rides with the help of our guide to boating in queens. Experience the best in queens boating by searching our complete list of parks, marinas, and other places to boat in queens. Take advantage of the greatest horseback riding Queens has to offer at an array of stables throughout the area. 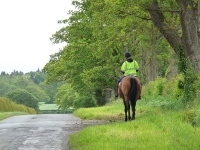 Find horseback riding trails in queens that are suitable for equestrians of all ages. If you're searching for horseback riding Queens NY, search Fun New York's detailed, comprehensive guide. Use this guide to find the most entertaining and relaxing outdoor leisure activities Queens can offer. For fun things to do in your free time try these leisure activities in Queens. 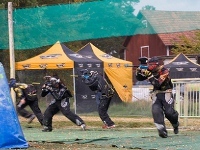 Enjoy paintball in Queens at indoor and outdoor venues throughout the borough. See our complete list of paintball places in queens. Take advantage of the best paintball Queens has to offer by browsing through Fun New York's definitive guide.